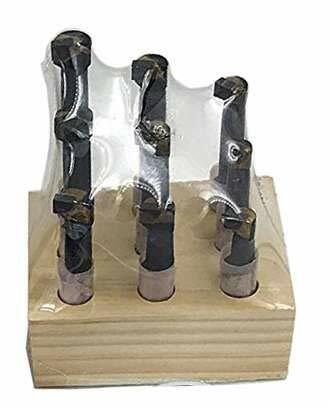 10pcs CCMT060204-HM carbide inserts packed in a box. 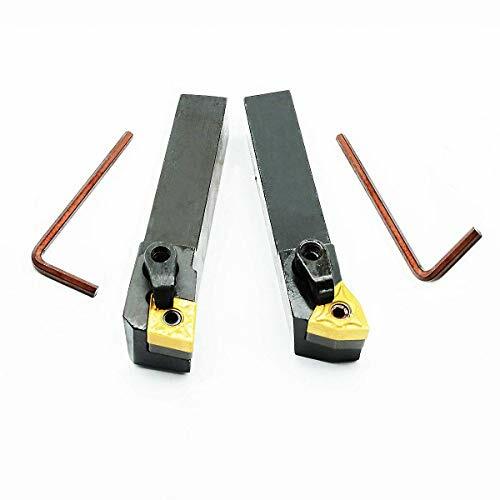 Four SCLCR06 boring bars:S10K-SCLCR06 / S08K-SCLCR06 / S07K-SCLCR06 / S06K-SCLCR06. Widely Use: Tightly impacted bolt, simple structure, often used for small hole machining. Model MTJNR1616H16 + MWLNR1616H08 + MCLNR1616H12 . 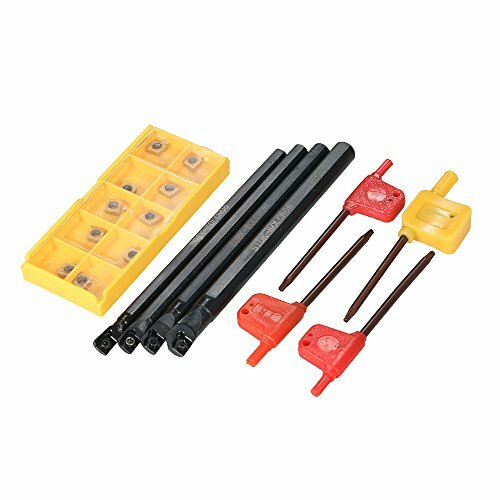 Package Included : 3pcs holders + 3 sets wrenches + 3pcs carbide inserts + 3pcs shims . Shank Diameter length width : ( 5/8x5/8 inch / 16*16mm) ; Overall Length ( 3-7/8 inch / 100mm) ,Cutting Direction right hand . 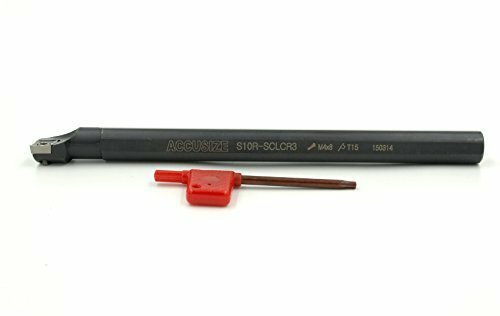 Each tool holder is black oxidized smooth surface and tool hardness (HRC 48 degrees up and down) and precision are up to the first grade. Brand: CK-CNC | Manufacturer: XUZHOU BAIYI Metal Technology Co., Ltd. 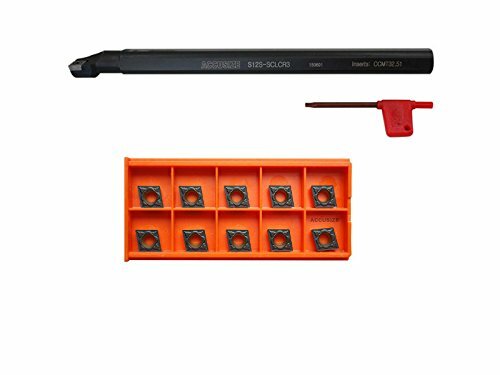 The carbide tipped 9-piece boring bar set includes three different length boring bars each for minimum bores of 5/16", 7/16", and 9/16". The bore depth ranges from 3/4" to 3". 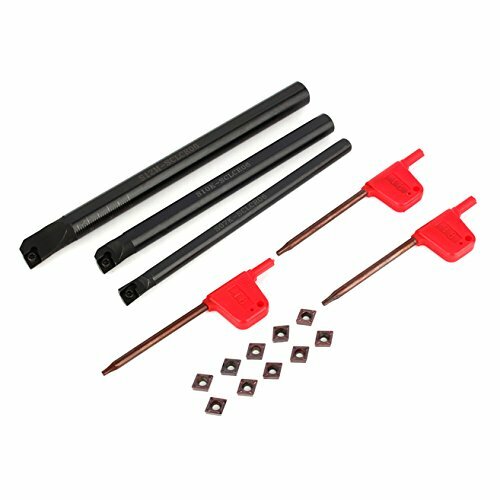 The heat treated, alloy steel shanks are hold to 0.000 to -0.0005" from the nominal diameter. Bar holder moves freely and smoothly. Design assures superior rigidity for chatter-free boring and precise hole size accuracy. Hardened and Ground adjusting screw designed for long lasting and trouble free use. Boring from light roughing to finishing in small bores. Profiling bar for semi-finishing and finishing operations. Bar hardness approximately 45 HRC. Extreme gloss finish. Accepts Inserts CCMT 32.51 and CCMT 32.52. Negative 5 degree end & side cutting angle. Positive 80 degree diamond CCMT inserts. 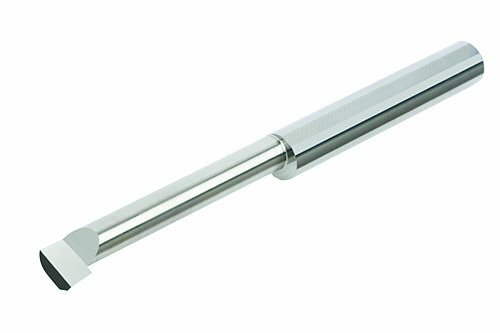 Brand: Accusize Industrial Tools | Manufacturer: Accusize Co. Ltd.
AccusizeTools - 5/8'' x 8'' RH SCLCR Indexable Boring Bar with CCGT32.51-AKH01 Insert cutting Aluminum, #P252-S503, Shank Diameter: 5/8" Overall Length: 8'' Min. 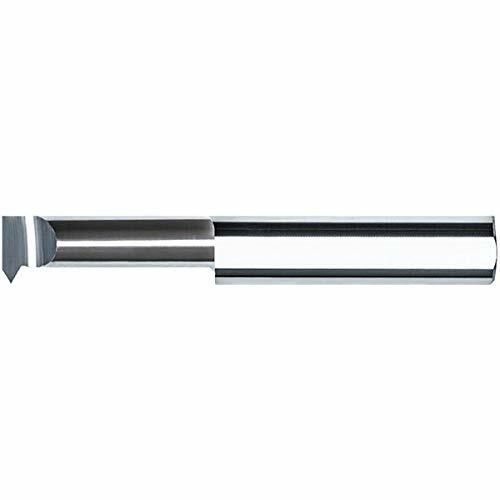 Bore: 0.866'' Item Code: S-SCLCR10-3 Boring from light roughing to finishing in small bores Insert CCGT32.51-AKH01 Included & Key Included Accepts InsertsRH SCLCR Indexable Boring Bars with with Inserts Cutting Aluminum, Boring from light roughing to finishing in small bores Insert & Key Included Accepts Inserts #AKH01 and #0.05AKH01 cutting Aluminum CCGT32.51-0.05AKH01 for cutting Aluminum, 0.008" carbide inserts. and CCGT32.51-AKH01 for cutting aluminum, 0.015" carbide inserts Profiling bar for semi-finishing and finishing operations Bar hardness approximately 45HRC Extreme fine gloss finish Negative 5 degree end & side cutting angle Item # Item Code Shk. Carbide Inserts Uncoated O.A.L Min. Bore P252-S501 S08Q-SCLCR3 1/2" CCGT32.51-0.05AKH01 (CCGT09T302-AK) 7" .600" P252-S503 S10R-SCLCR3 5/8" CCGT32.51-AKH01 (CCGT09T304-AK) 8" .866" P252-S505 S12S-SCLCR3 3/4" CCGT32.51-AKH01 (CCGT09T304-AK) 10" .920" P252-S507 S16T-SCLCR4 1" CCGT32.51-AKH01 (CCGT09T304-AK) 12" 1.25"
3MT Boring Tool Set ~ Includes a 2" Head, an 3MT Shank, and a 1/2" 9 Piece Boring Bar Set ~ The boring head bar holder moves freely and smoothly. 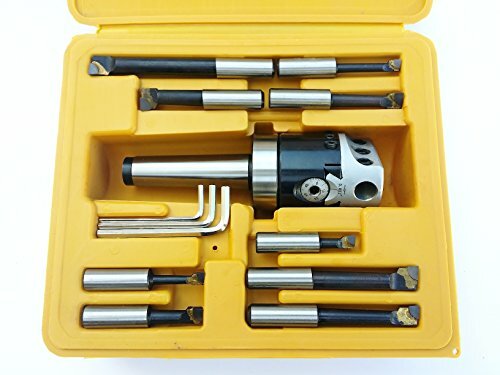 ~ The boring head design assures superior rigidity for chatter-free boring and precise hole size accuracy. ~ The boring head has a hardened and ground adjusting screw designed for long lasting and trouble free use. ~ The tool capacity is up to 1/2". ~ The shank to the head is 7/8"-20. ~ The 3MT shank has a 3/8"-16 thread. ~ 1 DIV = 0. 001 which means when turning the dial by 1 division/graduation, the boring head's travel is 0. 001" in radius movement and 0. 002" in diameter movement. 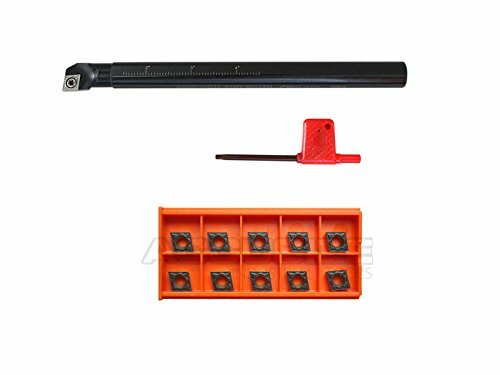 Brand: HHIP | Manufacturer: ABS Import Tools Inc.
- User clamping and convenient way to replace, only a wrench to complete . ------If you have questions about this product please contact me, I will be happy to solve your problem! 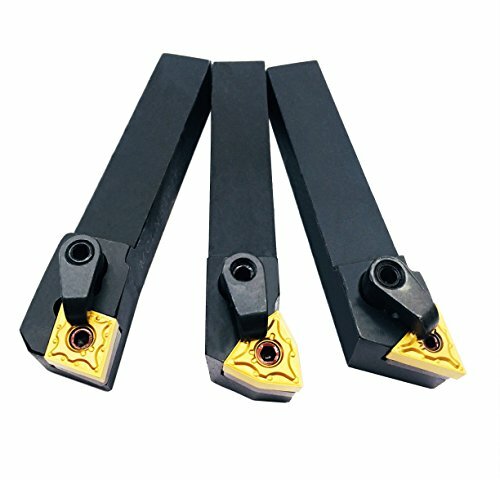 If you also need other holders you can enter my shop to search for TURNING TOOL HOLDER or you can tell me the model you want, I will give you a product link! Thanks for your support ! Brand: ASZLBYM | Manufacturer: XUZHOU BAIYI Metal Technology Co., Ltd.
2. The color may have different as the difference display, Please understand. Package Included: e you bid. 1 x S07K-SCLCR06 Boring Bar e you bid. 1 x S10K-SCLCR06 Boring Bar e you bid. 1 x S12M-SCLCR06 Boring Bar e you bid. 10 x CCMT0602 Insert e you bid. The MICRO 100 BB-1801500 uncoated solid carbide boring tool. Designed and engineered for most machining applications that require boring/turning. Tools can be utilized for both roughing and finishing. 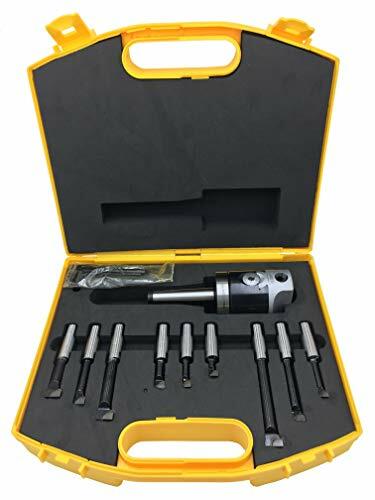 This tool is manufactured with a 0.003" nose radius and the cutter diameter tolerance is +0.000" to -0.002" ensuring ultimate precision and performance. Each tool's cutting edge/tip has a distinctive mirror like finish that significantly adds to material removal while improving surface finishes. MICRO 100 Solid Carbide Tools feature more than just a micro-grain of excellent quality their substrate is in a class of its own resulting from exclusive treating processes that allow for vastly increased speed and feed rates. For over 45 years, MICRO 100 is a known industry leader and internationally acclaimed when it comes to solid carbide tooling. RedLine premium tungsten carbide bars are proudly made in the USA, and provide you with outstanding results due to the stiffness and durability. These bars are extremely effective in a variety of applications including boring, grooving, threading, profiling and reverse profiling a wide range of materials. Our solid carbide boring bars, threading bars, profiling and grooving bars are also available in a quick-change version with great repeatability, which will save you time and money by increasing your overall efficiency. In addition to carbide bars, we also carry standard and quick change boring bar holders to reduce vibration and keep your cuts as accurate as possible. Browse our selection below by size, depth, brand, coating, and more to find the exact tool you need. Wrench included, threading carbide insert is not included. Good toughness and hardness, show a perfect machining effect. Applying for turning, copy turning and facing, is suitable for cutting fluid. Used on turning lathe machine. It can reduce the tool grinding cost and improve the cutting efficiency. Enhance the surface gloss of the cutting pieces.